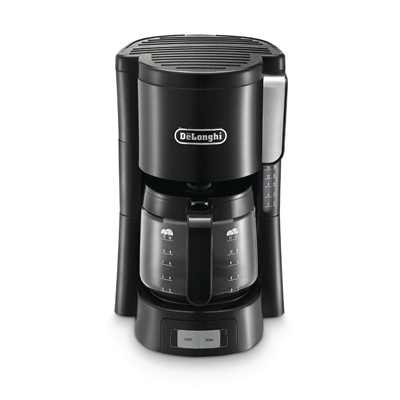 Delonghi Filter coffee maker. 10 Cup Capacity or 1.3 Litre. Black and stainless steel finish, glass carafe, warming plate, non drip device, auto shut off, water level display. Front loading coffee, water and paper, AROMA function 2 different brewing speeds. For use with ground coffee.